This week has been pretty rough. I'm nearing the end of my first project for the semester and I'd be lying if I said I'm not stressed about it. Luckily, after today's review, it seems like I'm in pretty good shape. New York weather is still a little weird. Today was pretty chilly but it'll reach the 80s on Sunday. In other news, I also started watching Gossip Girl from the very beginning a few weeks ago and now I'm on season 6. It's incredible how much more I appreciate the fashion since I first started watching it years ago. Since transitioning is still in the works, I decided to post a little something about making your summer laces work their way into your fall wardrobe. I love throwing a cozy knit over a delicate detail because it's a great way to add some dimension and texture to your look. You can shop this entire look below at Aeropostale, and they're all on sale! 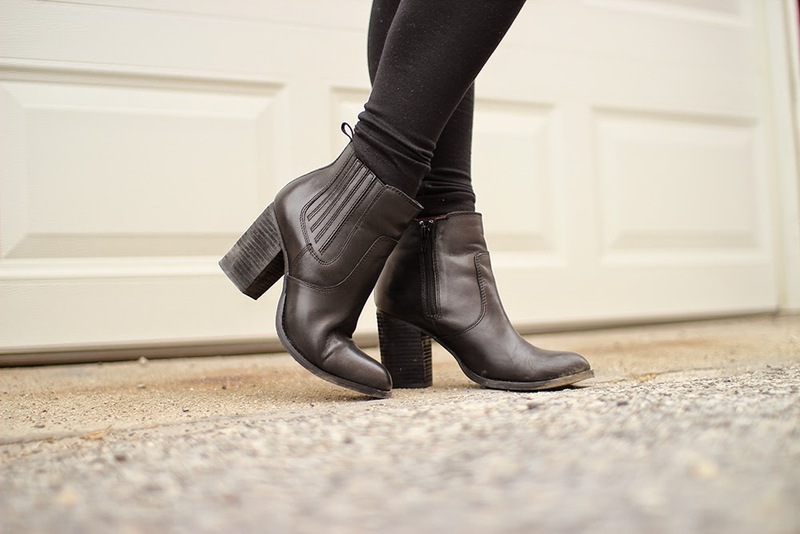 Be sure to check out the Steve Madden boots that I've been wearing EVERYWHERE! They're so beautiful and comfortable at such an affordable price. I hope everyone has a great weekend! What size is your sweater and the lace top? Thanks! XS Lace Top and S Sweater!